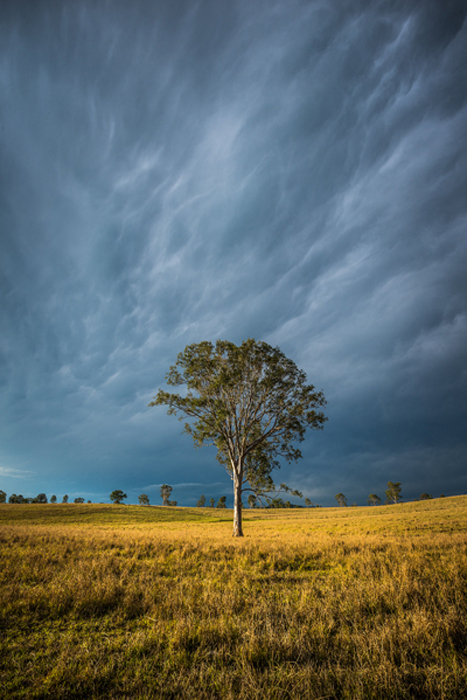 Outback Storm | Esk | Qld - After trying to get in the right spot to photograph this storm for over 2 hours it finally got away on me, then as I turned a corner I noticed this tree off in the distance being hit by the western sun with these amazing stormy clouds in the sky. Canvas prices include the image printed on Fine art photographic canvas supplied in a tube ready for framing, Fine art photographic prints are supplied in a tube ready for framing. All prices include freight to anywhere in the world. Fully framed artworks are available please email or contact one of our galleries for pricing.